Three old women lived in a house on Endors Street. Stories of the house would be passed down from generation to generation; stories of missing children, loss of fortunes, diseased animals. Three times within the last century the people of the small town had gathered to drive the women out, desperate to rid their lives of the ancient triune, and three times had they been thwarted. Through it all the three women had endured, continuing to live in that house on Endors Street. Each woman was identical, shriveled and shrunken in size, with long, silvery hair, hunched shoulders and, gnarled and worn faces. They were sisters, the first of their kind. They had seen kingdoms rise and fall, seen the betrayals of great men, seen the end of civilizations. They had helped men rise to power, torn others down, ripped the hearts from young lovers, led nations to peace and prosperity. And now they lived apart from the world they had helped forge, in a small grey house in a suburb where hundreds of other residents lived, their deeds forgotten, their knowledge wasted, their lives slowly ending. The youngest of the three was in the garden. She was bent over in the corner, collecting handfuls of carefully selected herbs, shuffling slowly from plant to plant. The eldest said nothing, her gaze downward. She was the proudest of the three. She had achieved much in her life, and now she was to lose it all. She was frightened, frightened for the first time in her millennia long life. Ignorant of what was to come, and helpless to stop it. She straightened herself and said, “Regardless, one cannot be too careful, no matter what is to come. We must remain vigilant until the end. We must not let them win. We must not turn to weakness because of them.” With that, she turned and walked back into the house, her back as straight and as proud as she could manage. The garden was left in silence. The youngest had never been as ambitious as her sisters, never using her gifts for her own personal gain. And unlike her sisters, she always knew what would come. She had foreseen this strand of time centuries ago and had accepted its possibility then just as she accepted it now. Her eldest sister had always been a fighter, changer of fates, but this was the one fight she could no longer win. She stood, mournful of what was to pass, gathered her baskets of herbs around her and followed her sister into the house. She found both of her sisters in the kitchen, moving about around the stove, measuring out ingredients to throw into the bubbling pot it bore. The eldest sister navigated herself quickly around the room, refusing to show any sign of weakness, her movement steady and sure. 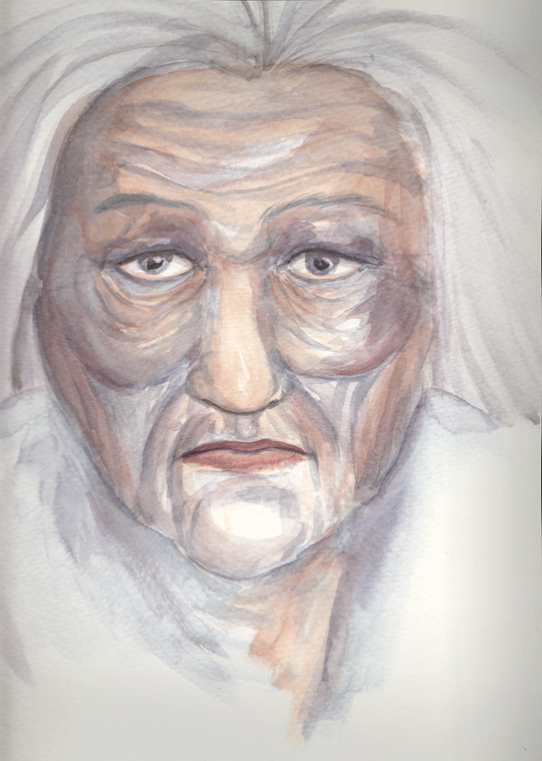 The middle sister moved slowly with fatigue, her withered hands trembling as she grasped for a jar from the cupboards. She felt the calling of Father Time stronger than the others, as she always had. Once she had used her gift to destroy rival armies, trapping them within the minutes passed or the hours lost. Now it had reduced her to a frail shell of her former self. “Let me sister,” the youngest said, reaching out to help her sister. Her older sister recoiled from the outreached hand. The two elders stood together, watching as their youngest sister, the once revered Seer of Ages, walked out through the door. The two sisters hesitated for a few moments before resuming their work in the kitchen that was now so familiar to them, falling back to the mundane job of preparing their dinner, while their sister dozed by the fire. They were three, yet they would always be one. They had changed the world numerous times, lived as priestesses, queens, deities. Now, the three were at the end of their years, living as any other human would live. And there, in that house on Endors Street, they would continue to live, until their father would claim them once again.